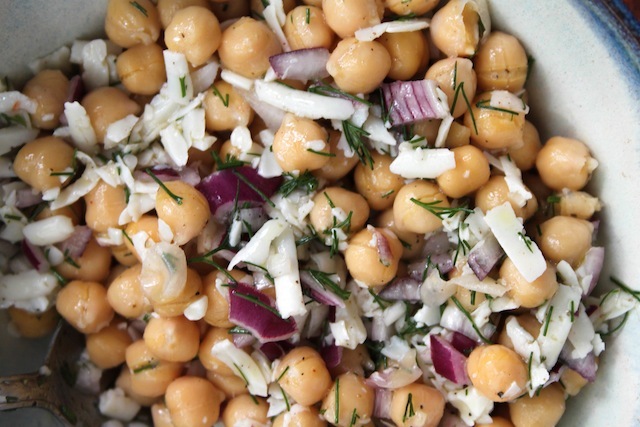 Seven Second Lunch: Chickpea Salad with Dill and Red Onions – Eat Me. Drink Me. Sometimes, you don’t want to stop watching television on the internet at the same time as you want something delicious to eat. You’re lying on your bed, foetally-curled into a blanket, thinking about how far away the kitchen is, how arduous the effort to open the drawer and draw out the knives. You want someone to magically turn up at your door with a tin of cookies. You want the delivery guy you didn’t order to end up at your apartment and not realize he dropped a fragrant tikka masala off at the wrong door. You want someone to cook for you. You want a maid. And that is almost certainly something that you are not going to get. Some days, you just want so many things. And while most things you may want, might just be out of your reach, some are not. Lunch is not. Especially when you’ve got a not-completely-empty pantry and the knowledge that lemons and garlic and shredded parmesan can make you feel like all of your dreams really have come true. 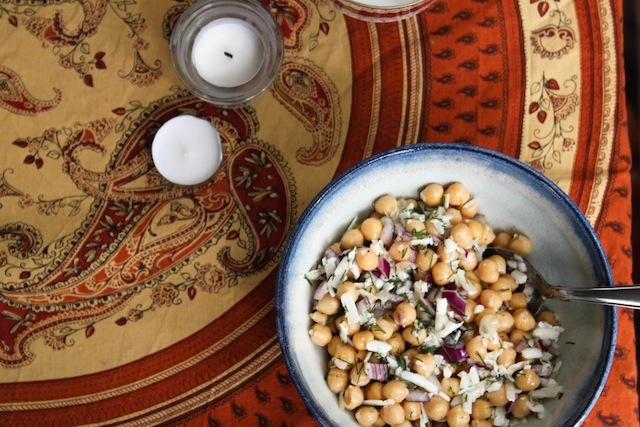 It might not be a maid, but a can of chickpeas could save your life. 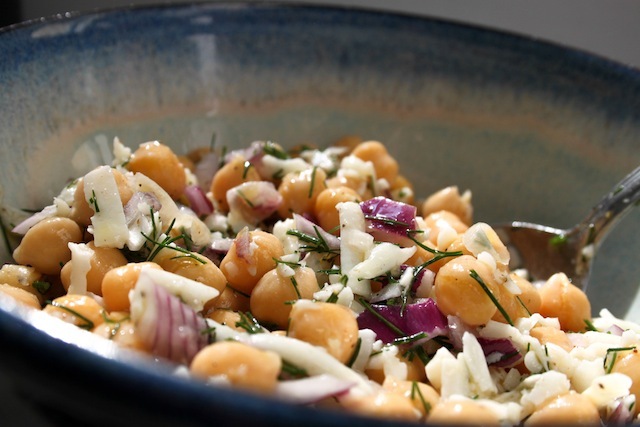 Or at least give you the strength to hit the play button on the next episode, while you lie, foetally-curled up in bed, snuggling a bowl of fresh chickpea salad, soothed by the verdant smell of dill. 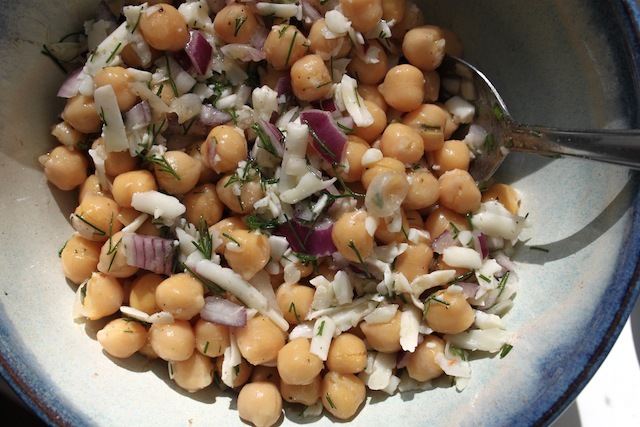 Rinse chickpeas under cold water and pour into a bowl. Add red onion, garlic, dill, and parmesan. Squeeze in the juice of ½ lemon and add olive oil. Season to taste with salt and pepper.